A descendant of Arctic wolves, this breed is named after the native dialect of the Alaskan Inupiaq Eskimos. 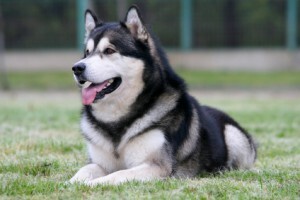 Since the Alaskan Malamute was mainly used for hauling and travel, it was important that they breed only the strongest, smartest and most reliable dogs which are the characteristics you see in the Alaskan Malamute of today. This breed is extremely loyal and friendly but has destructive tendencies if the proper discipline and exercise is not enforced. This breed was developed in Maryland and Virginia during the early 1700’s and is a cross between the Walker, Goodman and Trigg strains of hounds. These three strains of hounds all trace back to a black and tan hound from Tennessee known for his superior hunting and chasing skills. Tennessee Lead, as this hound was called, was stolen by a trader in November 1852 who then sold the dog to President George Washington. The president was a hunting dog aficionado who later ran a breeding program and is thought of as the father of the American Foxhound. This breed is a natural runner and does well in open spaces. 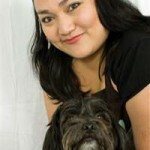 She makes a great family pet as she gets along nicely with small children and other pets. Training an American Foxhound does take some patience as she can be quite stubborn and strong-willed. The American Water Spaniel is a sporting dog used for retrieving game and is the official state dog of Wisconsin where it is believed to have first been developed. This breed is a wonderful companion animal and must be kept quite active so activities such as water sports and agility training are perfect for her to enjoy. American Water Spaniels have tightly curled oily coats that make them almost “waterproof”. Group that with the fact that this breed is a strong swimmer and it’s easy to see what makes them an ideal match for water fowl hunting. They are easily trained as long as the owner is not too demanding and reinforces the fact that the owner, not the dog, is the “alpha dog”. The Boston Terrier is a cross between the English Bulldog and the White English Terrier. They were originally developed in Boston, Massachusetts as pit-fighters but are now bred as companion animals. Being a companion animal at heart, Boston Terriers are not good outdoor dogs but instead do well as family pets and even therapy dogs. They have cheery dispositions, are extremely intelligent and quick to learn. Since this breed is also quite active, sports like agility and fly ball are perfect for him. The Chesapeake Bay Retriever is a cross between the Newfoundland, English Otter Hound, Flat-Coated Retriever and Curly-Coated Retriever. This breed is named after the region where it was developed and is Maryland’s official state dog. He is revered as the toughest water retriever of them all and is known to be able to swim in harsh conditions and retrieve for long hours if needed. His short-haired oily coat enables him to hunt waterfowl in the icy cold waters of the Atlantic Ocean. This breed is a wonderful outdoor dog perfect for an active outdoorsy-type of owner. 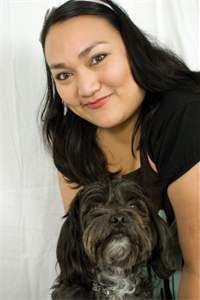 Amber Keiper is the Marketing Coordinator and Raw Diet Educator for BARF World Inc. She and her husband have two former rescue animals that are now healthy and proud “BARF brats” – a terrier mix named Chewbacca (“Chewy”) and a tabby mix named Chiquita (“Chiqui”). For more articles like these and to learn more about the benefits of raw food for your pets, sign up for The Intelligent Pet monthly e-zine at www.barfworld.com. to know if you knew of any message boards that cover the same topics talked about in this article? is amazing, great written and include almost all significant infos. I’d really love to be a part of community where I can get opinions from other experienced individuals that share the same interest.